Unfortunately there’s been zero info from Kyosho. Nope. I’m still hoping that the KT-531 receiver will become available before MiniZ season ends. Though I’m having doubts. There’s a real chance I won’t get to run my Evo till the fall. I expect it to be too much for the mini96 track. Supposedly it went on pre-order in Japan last month. But can’t find anything for it. Will see what happens. Got 5 racedays left between now and May 10. Pretty much written off any chance for this month. Unless they suddenly become available. Anyone else have any clearance issues with the Jomurema body? The top shock hits the rear window and I really don't want to cut a hole in it. i think you will be plesently surprised with the Evo on the MIni-96. 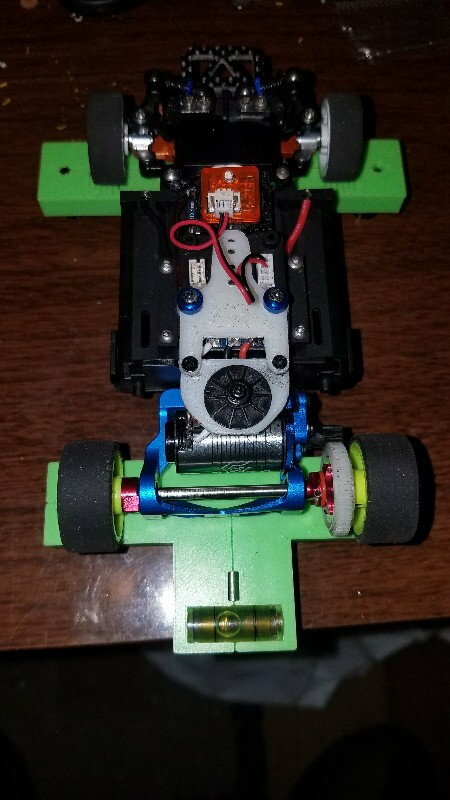 Both my MR03’s are now running 48T motors which I believe is close in performance to the 5500KV brushless setup. My MR03’s are a hoot on the Mini-96 and not to much in the slightest. Also, wait until you have your BZ built, I got about 4 hours of running my GLA on the mini-96 track this weekend and it is super fun. I really did not think I would be able to use all the power but it is no issue at all, my lap record has fallen to 4.76s. I would be very surprised if it ran good on the 96. I have expected it would need to be larger to run it. I’ve planned to make track bigger no matter. have you considered using an LM height damper plate for more clearance? As long as you have the clearance using the more forward hole, you should be fine. But, you may need to adjust springs to dial in the rear. You will have a slight chance in the geometry of the damper. Yeah, that would probably work. Is Kyosho still the only one that offers an LM plate? For now, I might just use a smaller shim under the post and see if that gives me an extra mm or two. Worst case scenario, I just use a different body. R246 have two different models, one is 98mm only and mounts in the low position (MML) and one is 102mm in the low position but can mount in the high position (above adapter/mount) for 98mm. 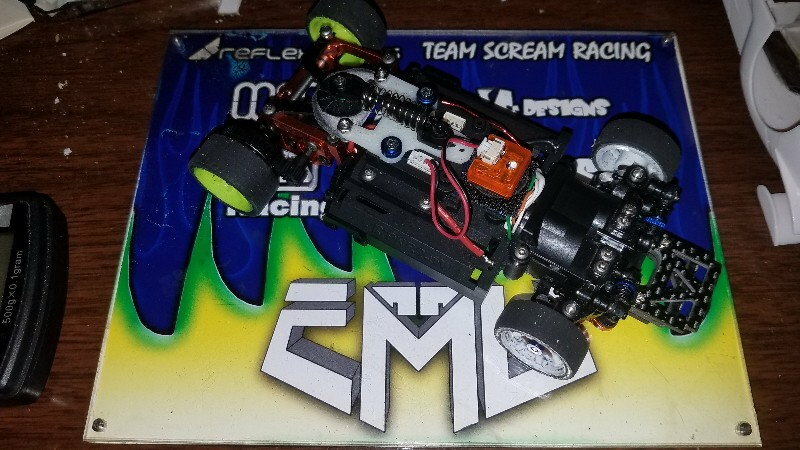 3Racing has one LM which only mounts in the low position. I have designed my own to be 3d printed, loosely based on the 3racing model which I had to reference. 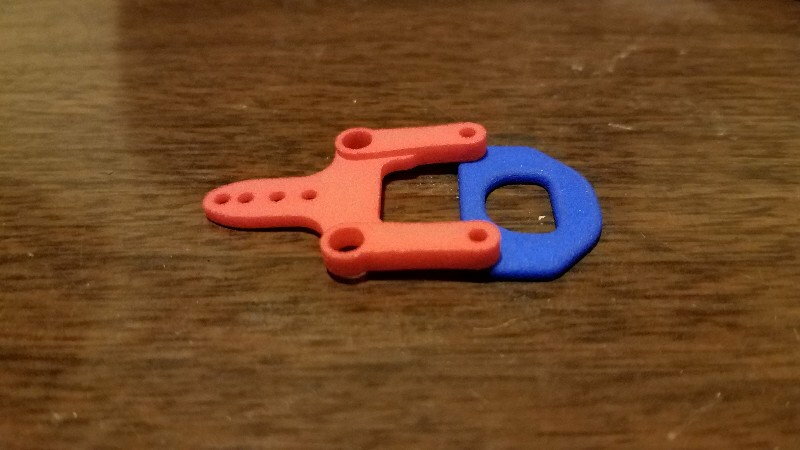 If you plan to race under production class rules (PN), 3d printed parts are not permitted. I personally do not agree with this rule if the parts are available to be purchased in an online an such as shapeways, but I don't write the rules. The white models are the prototype, red/blue production sample. I am revising tonight to have both print in one part, adding a 102mm damper plate, and slotting the top shock mount for fine adjustment rather than using holes. I spaced the red arms further away from center than the 3racing LM adapter to give more space for the damper to move laterally. It also allows me to use the titanium atomic LM plate with my adapter (which was not planned). I am quite sure you will be pleasant surprised running the Evo on the Mini-96. I run my EVO on the 96. I feel that the 6T pinion is more than enough paired with the 5600kv motor.